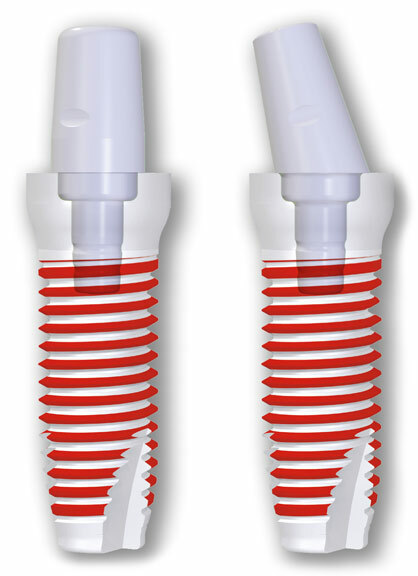 Peri-implantitis – Coronal troughing: Typically the crest of the bone, or the part of the implant emerging from the bone, develops a pattern of bone loss or a trench surrounding the neck of the implant. This may be due to the migration of bacteria downwards along the interface of the titanium implant and the bone, as well as the release of inflammatory factors (Interleukin 6 and TNF) from the corrosion products of titanium and other metals in the alloy. Corrosion: The corrosion of titanium as well as release of titanium ions causes some of the other undesirable effects mentioned in various scientific reports. Different metals in contact with titanium, as well as the presence of fluoride, accelerates corrosion. There are also reports that the tissue response to these metallic by-products attaching to proteins in or on the cells may be classified as an autoimmune response (the body attacking its own tissue). 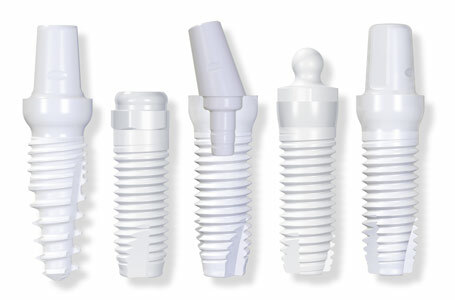 Bacterial contamination: The crevices and spaces between the implant and the overlying second phase abutment (suprastructure) is a moist breeding ground for bacteria evidenced by the frequent release of a foul smell when these abutments are unscrewed. Poor esthetics: Esthetically the gums around a titanium implant do not look very appealing due to a metallic halo shining through or even worse, the appearance of a dark “tattoo” caused by migrating metallic ions and particles impregnating the gums.